The Reverse Selfie Project — MUSED. PUTTING POETRY BACK INTO THE AFFAIRS OF THE PEOPLE, PERIOD. The Reverse Selfie Project is a 6-week, creative-and-critical thinking workshop hosted in Tulsa Public high schools and middle schools. For students who have never lived without technology at their fingertips, we are giving them a moment of stillness. This is where the difficult virtue of practice, concentration, discipline, wrestling with the ego, and revision come into practice. Our goal is to foster a new generation of curious thinkers who play an active role in the world going on around them. We’re teaching poetry through the lens of the Reverse Selfie Project because we believe narcissists aren’t good for society. When we are the center of our world we cannot see (or serve) the real world. With the rise of a Kardashian-rich and value-poor culture, we hope to turn the perspective around from self to community. By having the creative and critical means of analyzing our inner selves through poetry, we increase our capacity to know and care for ourselves; empowering us to contribute to our community, instead of depending on our community for resources. As future budget cuts threaten major arteries of our society, supporting The Reverse Selfie Project is an investment into the mental health of the future generation. Let’s give them the tools to navigate the mind hiding behind their smiling faces. Thank you for granting a student’s scholarship. Note: All donations are tax deductible. Please make checks payable to MUSED. Organization. Surely the critics aren't talking about these kiddos though. It was great to see the students "get" the poetic form Acrostic (they even noticed the narcissist in the poem Nuggets). For their group exercise, they wrote acrostic poems to their school - which meant they spelled the word STREET down the left hand side of the page, and then filled in stories and images of their experience at Street School. "Determined to find love so much that he’d die for it." We're tackling big ideas pretty quickly, while keeping it magical at the same time. "I'm a means, a stage, a cow in calf." One student said, "its seems like we're always both trapped inside and infinifinly free." We love to see this tipping point: where the student's rational mind jumps off the cliff; and when the imagination feels safe to fly. "I gave a homeless man $20." "Buying Christmas presents instead of the video game I wanted." "I let others speak first, walk first, and eat first." Taking pictures are easy. Letting ourselves be truly seen isn't as simple a concept. crying. I am so emotional. "I need to be myself even if someone doesn't like who I am." "I am more open to others than I thought I was." "I want to take time to be more vulnerable because it's beautiful." 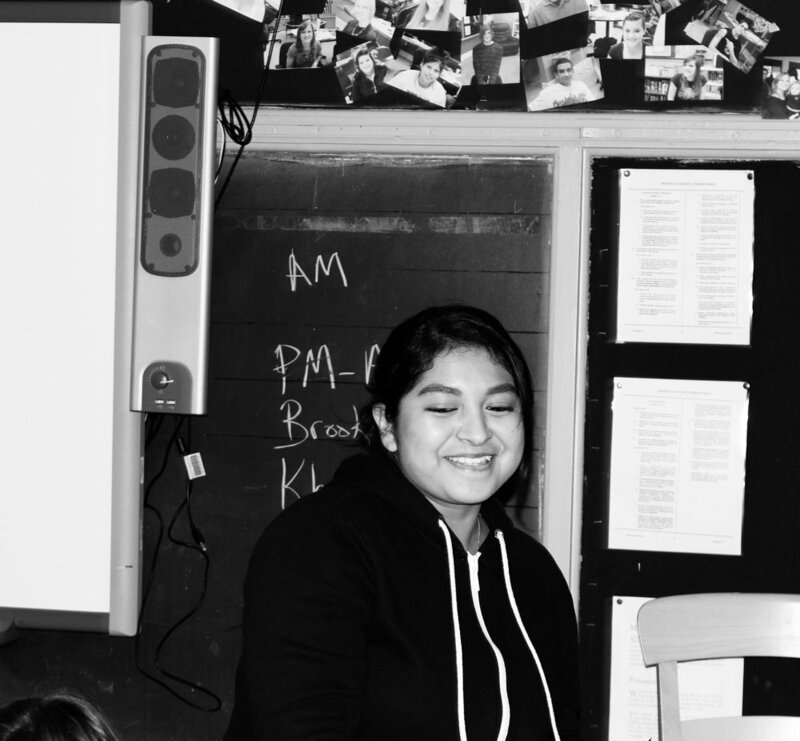 Our SELF CONFIDENCE + IMAGERY workshop helps us understand emotional literacy is based on a sliding scale: we can't be cocky and have no shame, but also, we can't be push overs with low (or no) confidence. The Mexican girls let me sit with them as long as I braid their hair, my fingers dipping into that wet black silk. I try to imitate them at home — mírame, mama — but my mother yells at me, says they didn’t come here so I could speak some beggar language. Shadows of judgements lingering on our stem. Don’t judge us, unfished master pieces. "I get to come up with ideas without hesitating." "Know that the desire to be perfect is probably the veiled expression of another desire—to be loved, perhaps, or not to die." Our LEGACY + LIST POETRY workshop helped students map their lives to the very end, then asked "what have you left behind?" Paige told us it didn't matter how much money she made, she just wants to be a therapist and help struggling teenagers, just like the professionals at Shadow Mountain who helped turn her life around. We read Ron Padgett's "How to be Perfect," brainstormed the meaning of perfection, and wrote how, even in our imperfection to use our strengths and plant a legacy. "Knowledge is food = feed the hungry." "Dress up, look pretty, even if you are tired." "Love those who deserve it, but don't hate, even if they have done you wrong. Move on." "Oh don't leave, Victoria, we wish we were doing poetry all year long." I know exactly what where he's coming from. When I turned in my final poetry manuscript in my undergrad and graduate school, I felt disconnected from some part of myself. When I finish hosting our POP events or leave a Magic City reading, I know how he feels: knowing how good it feels to think critically, but also how difficult it can be. How you don't know if you can trust yourself to take yourself back to the page. That he might lose the self he just found. So when Leo says he doesn't want me to leave - like the rest of the class will do before the end of our session - maybe the person he is longing for is himself. 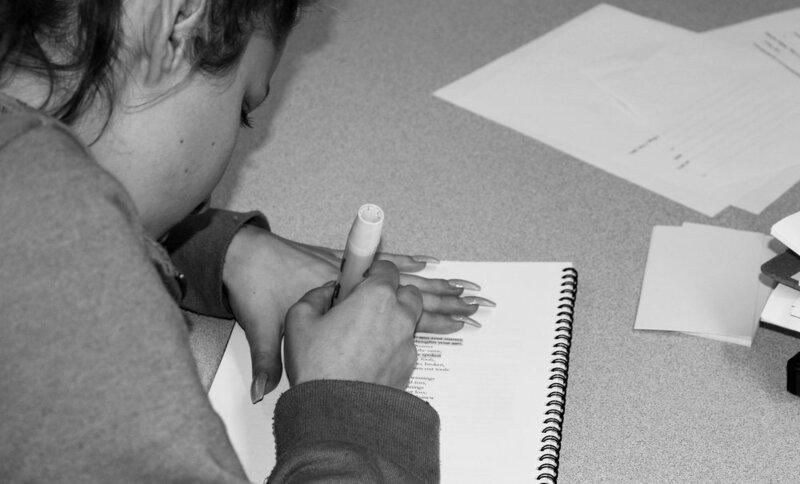 And hopefully this workshop helped him develop a habit of learning to "know thyself" through poetry.